RPI Consultants, a recognized leader in providing Infor Lawson Services, today announced that Bill Geddy has joined the company as Vice President of Sales & Marketing. Geddy is based out of the Greater Atlanta area and will be responsible for the continued growth of RPI’s Infor Lawson Practice in high-demand industries including Healthcare, Retail, Public Sector and Services. Bill brings vast experience executive sales & marketing leadership, sales management and sales operations enablement in the mid to large market Lawson professional services space. 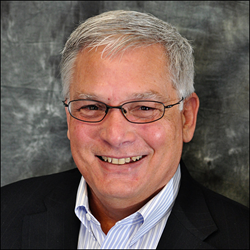 He has over 30 years’ experience in the healthcare, public sector, and technology markets. He retired from active service in 1999 as an Army Officer, after serving in the US Army in a various areas of leadership, management and field levels including field artillery (battery, battalion, brigade levels) and personnel (battalion, brigade, divisional) for 23+ years. He attended Georgia Southern University and is a proud member of the Sigma Nu Fraternity. RPI Consultants is a business applications implementation and optimization firm focused on delivering best practices through technology, systems integration, and process redesign. The RPI team includes certified technical and functional experts in Infor Solutions, Lawson, Kronos, Perceptive Content, and Kofax as well as other automation technologies to enhance the procure-to-pay, financial reporting, and human resources processes.